If you have chronic redness like me, then you know that it's incredibly difficult to cover with traditional makeup. My flushed complexion is due to a slight case of rosacea, which has been something I've struggled with since high school (one morning, I noticed a tinge of redness crossing my forehead, nose, and cheeks, and it's stayed put ever since). Other people struggle with redness caused by blemishes or chronic sensitivity and irritation. Either way, it's all the same. Even the most heavy-duty concealers and high-coverage foundations struggle to keep the redness contained. That's where green concealer—otherwise known as color-corrector—comes into play. It might sound (and look) intimidating, but it's honestly one of the most effective anti-redness makeup tools out there. It's surprisingly simple to use too—once you know the proper application technique. To explain how it works, we have to take a trip back in time to elementary school art class. Remember when we learned about the color wheel, namely how certain colors are placed opposite of one another? Well, green is placed opposite of red, meaning when you layer a green makeup product over a red blemish, it works to neutralize the color. The same thing works with bluish under-eye circles. If you color-correct with a peach-colored concealer, the circles won't look nearly as dramatic. Because, again, orange is placed opposite of blue. Who knew elementary school art class would come in handy like this? Not us. There's only one catch. "When using green corrector, it's best to use it on fair and medium skin tones where the color can still be blended to look natural on the skin," explains New York–based makeup artist Ashley Rebecca. As for application, she recommends starting with your normal base of makeup. "Apply your skincare first, and then apply your foundation after," she says. "Next, lightly tap the green corrector in areas you want to conceal, and then finish with a flesh-toned concealer on top to blend everything together." So basically it only requires one extra step. There's no complicated layering or product mixing. Simply apply the green color-correcting product to the red area after foundation, and then put a regular concealer on top. Easy peasy. Just be sure to follow the right application order. The key is to put foundation on first and then reach for the color-corrector. This is because prior makeup application will show you which red areas are hidden by a single layer of makeup and which ones need a little extra help. In other words, it will stop you from applying too much product. 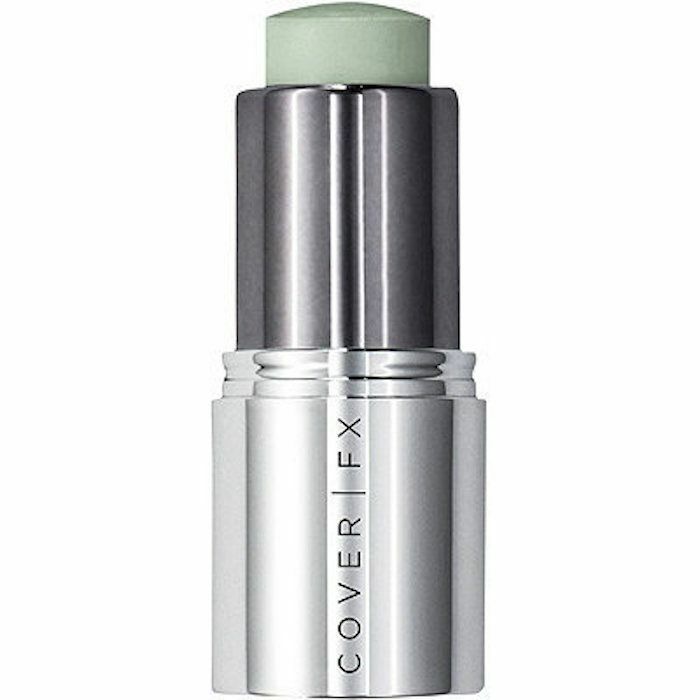 As for Rebecca's favorite green color-correctors, she recommends CoverFX's Green Correct Click ($18), which is a highly pigmented and ultra-blendable cream stick formula. 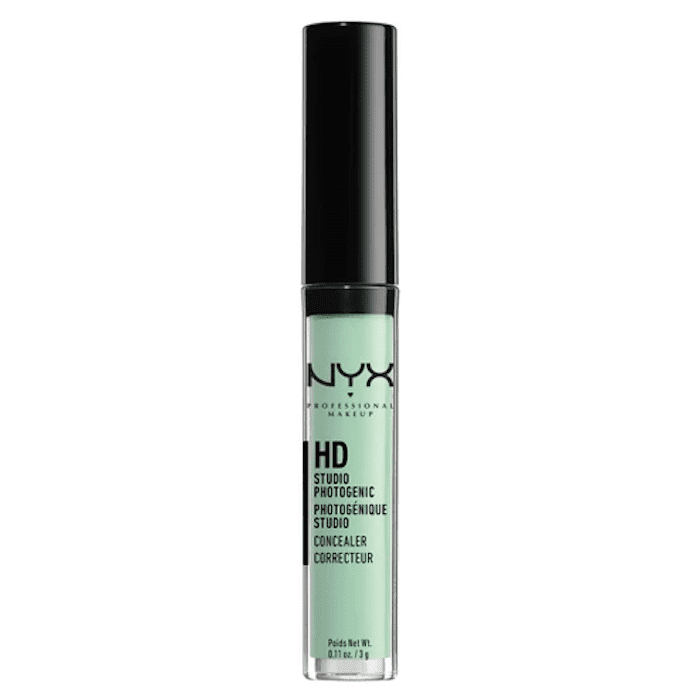 She also likes Urban Decay's Naked Skin Color Correcting Fluid ($29), which, in our experience, is super easy to apply in precise and targeted strokes thanks to the doe-foot applicator. Each of the color correctors is infused with vitamins E and C to condition and protect the skin. Our favorite way to use it is to apply to a blemish or red area, blend out with a beauty sponge, and then blot a skin tone–matching concealer over top. 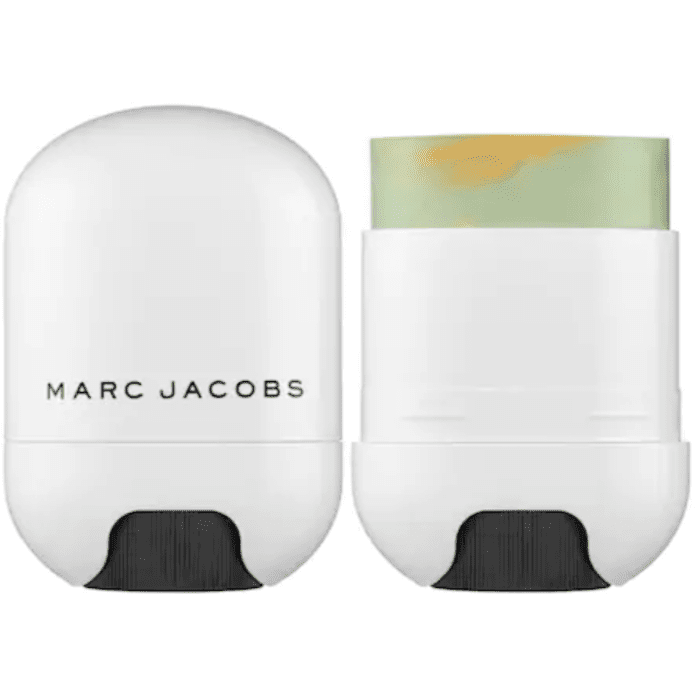 Finally, she recommends this Marc Jacobs Beauty color corrector, which color-corrects redness at the same time that it brightens the complexion thanks to a swirl of green and peach. It achieves a neutral, radiant finish. Take it from Sephora customers, as it has 10,000 "loves" on the beauty retailer's website. It also has glowing reviews like this: "I love this. I have very dry and red skin, and this does the trick to correct the redness and looks so natural. I apply it with my fingers and put a tinted moisturizer over it, and it looks so natural and I would have never imagined my face could look like that." This budget-friendly liquid concealer offers medium- to full-coverage, depending on how sheer you blend it (which, in all transparency, can take a little time and elbow grease). The result is worth it though. After we applied a skin-matching concealer over top of it, all redness was minimized. L.A. Girl is responsible for another drugstore green concealer that works as well as high-end options. It's crease-resistant too, which means it won't settle into any fine lines around the nose, mouth, and forehead (three common places for redness). Ulta customers say it's drier than other formulas on the market, but once it sets, it lasts all day. 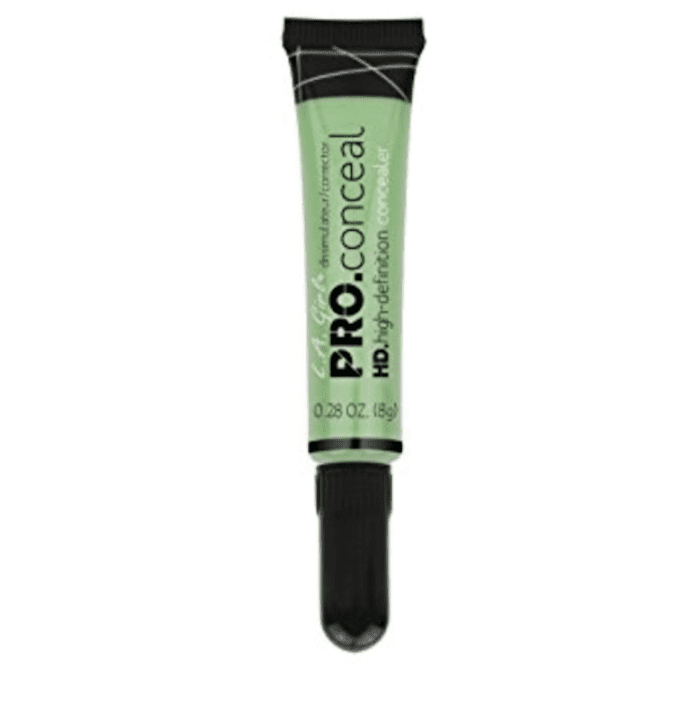 "Great concealer for the price. I gave it four stars because it dries fast and you have to blend right away or it clumps. I put on two thin layers, and it lasts all day," one customer says. Most color-correcting products require a separate blending tool, whether that's a beauty sponge, brush, or (let's be honest) your fingers. 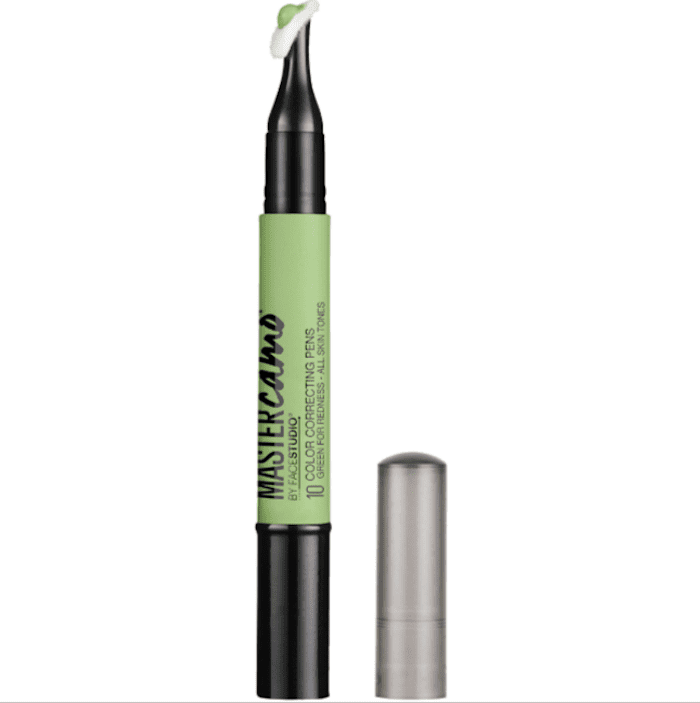 This one is unique in that it comes with an attached blending tip. While it might not totally erase redness, it will reduce the appearance of it substantially. At least that has been my experience. 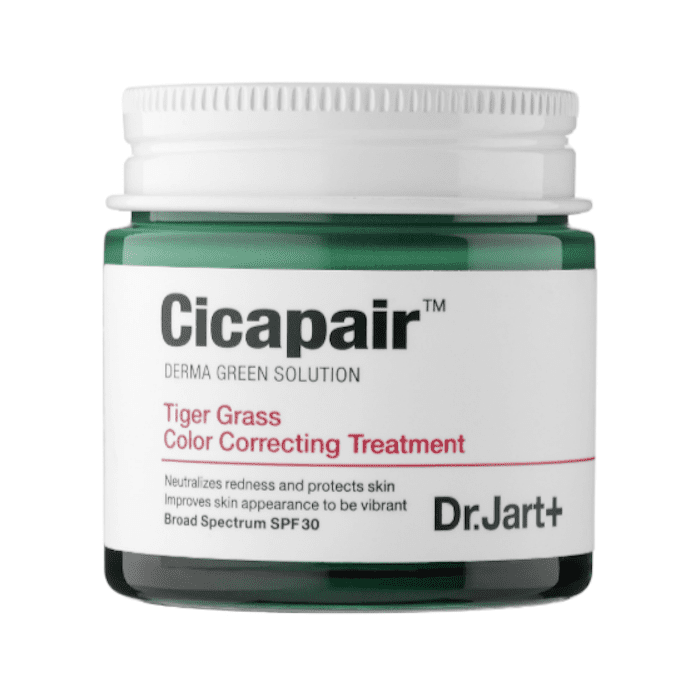 This K-beauty redness corrector is a cream that contains Centella Asiatica, a medicinal herb traditionally used to expedite wound healing and soothe irritation. It also has sodium, potassium, calcium, and magnesium to boost moisture levels and radiance. As one Sephora customer puts it, "This must contain unicorn tears because this is nothing short of a miracle. I use this after I moisturize, and it blends in so well. Any spots that need color correction vanish and my skin looks and feels smooth. I can see why anyone with darker skin would not like this, as it does blend to a lighter tone. This is worth every penny for me though!" 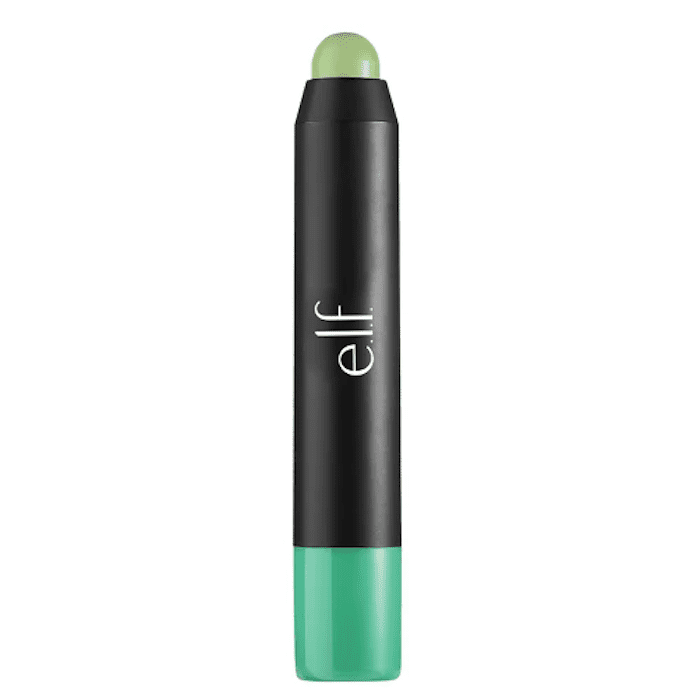 One of the products I swear by for correcting my chronic redness is this green concealer stick from E.l.f. Cosmetics. It's only $4 and lasts for months, which means I don't feel bad about applying it wherever I need to. In other words, it's not an expensive product that I feel like I have to conserve for special occasions. It's a daily go-to. For something that goes beyond makeup, try using this Stila three-in-one primer, serum, and color corrector. Green is mixed with lavender (which corrects dullness) and peach (which brightens). It's meant to be applied post-cleanser and pre–makeup application. Take it from one Sephora reviewer who writes, "The best under-foundation base I've tried to tame my ruddy complexion and concealing lines on my forehead." 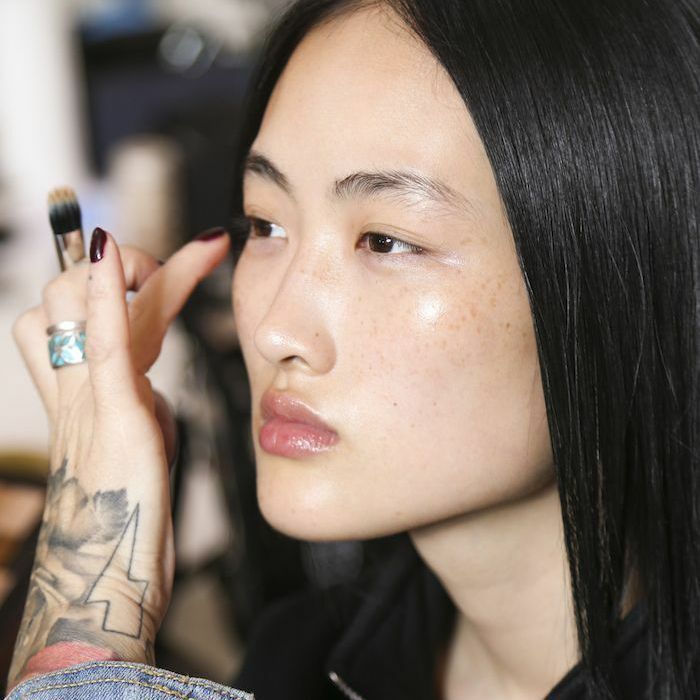 Now that you know how to cover redness with green concealer, read all about rosacea and what could be triggering it in your skin.